Some cars stand out because they are in line with latest trends. Others are bold and larger than life. Jaguar wedding cars Melbourne are truly timeless. If you are wondering what makes Jaguar wedding cars Melbourne such great vehicles for your big event, you only need to see their smooth, elegant lines and classic exteriors – they are overflowing with nostalgia and are true statement cars. You’ll find the height of quality inside and out. 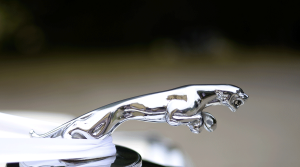 The distinctive nature of Jaguar wedding cars in Melbourne is in the details. Fully restored, with added modern luxuries to make your trip more enjoyable, the team at JC Jags treats all of its guests of honour like royalty! And there is no doubt you will feel like royalty or a celebrity when you step out of a prestigious Jaguar. The Jaguar wedding car has always been ahead of its time. For brides looking for a romantic backdrop to photos and a fairy princess entrance, this is the ideal choice! Whether you go vintage with the 1950 Jaguar MK-V or 1954 Jaguar MK-VII sedans, or modern retro with the 1985 Jaguar Sovereign, your guests will be suitably impressed. Let your personal, uniformed chauffeur be part of a time-honoured tradition – the exciting journey to your “I Do’s”, complete with anticipation and champagne. Put all of these together, and you have the perfect elegance that this your go-to wedding transport. At JC Jags, we take great pride in providing the best Jaguar wedding cars Melbourne has to offer. With a long history of exceptional service spanning many years and an impeccable record, the JC Jags team is also part of a highly respected group of wedding industry leaders. Affiliated with some of the best photographers and videographers, and having worked with many of the top venues in Victoria, we know how to help you bring everything together for a seamless celebration. Contact JC Jags today to find out more about our selection of Jaguars, or head over to our Facebook page to get in touch.